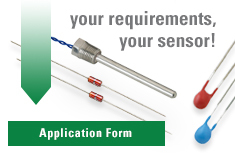 U.S. Sensor Corp.®, acquired by Littelfuse in 2017, performs PPAPs in accordance with the requirements of QS9000. Our PPAP format is also compliant with the Chrysler, Ford and GM publication dated July of 1995. In addition to supplying the Product warrant and required data, Littelfuse has the ability to show statistical control of critical items. Our PPAP program is fully email compatible for easy integration into customer data files. On the following pages are samples of the data and our SPC charts.